Elaine was born in San Francisco, California to Helen and Emmett Roebling. She grew up in The City and graduated from St. Paul’s Grammar and High School. She met her future husband William when she was 15 years old. They eventually married and spent almost 57 years together. They moved to Crescent City in 1966 when her husband, Bill became a court reporter for Del Norte County. They loved Crescent City and chose to raise their family here. Elaine was very present during her children’s schooling. She was very involved at St Joseph’s School and church, volunteering whenever and wherever they needed her. Elaine was a stay-at-home Mom and full-time assistant helping with her husband’s transcription and office needs. She eventually went back to work when her children were older. Her first job was a substitute Secretary for Del Norte County filling in at various departments. She then went to work for Schafer, Cochran and Follett Law Office for many years. Her last job was at the City of Crescent City as an Administrative Assistant to the City Manager, retiring in 1997. Elaine enjoyed spending time with her family. Her greatest joy was her grandchildren and her great grandson. She loved her San Francisco Giants and attended Spring Training on many occasions. She loved walking at Beachfront Park. Elaine is preceded in death by her Parents, her brother, Tom and her nephew, Robert Roebling. 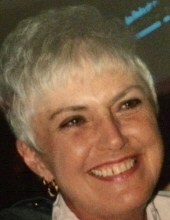 Elaine is survived by her husband, William Romero, her children, Diane Dugger (Mike) and their son, Luke of Davis, California; Michael (Lisa) and their daughters, Isabella and Annalisa of Concord, California; Stephen (Sheri ); Laura Benson (Brian) and their daughters , Sydney and Blair (Sam) and their son, Curren of Crescent City, California. Also survived by her brother, Emmett Roebling of Concord, California and his children, Dan and Marie. Elaine had a great sense of humor, a beautiful smile and a loving spirit that will be missed by everyone who knew her. Her family will miss her greatly and will always have loving memories to comfort them. There will be private services at a later date. The family will be scheduling a rosary to be announced in the future. To plant a tree in memory of Elaine Marie Romero, please visit our Tribute Store. "Email Address" would like to share the life celebration of Elaine Marie Romero. Click on the "link" to go to share a favorite memory or leave a condolence message for the family.